Hashtags are not anything new. They’ve been in active use for quite a while and aren’t showing signs of going any where any time soon. In fact, the # symbol has been used to denote important information within technology fields since as early as the 1970’s. It makes perfect sense for someone to come along and use it as a marker for indicating central themes in more casual communication. Social media posting without hashtagging is like asking someone out on a date but forgetting to give them your phone number. 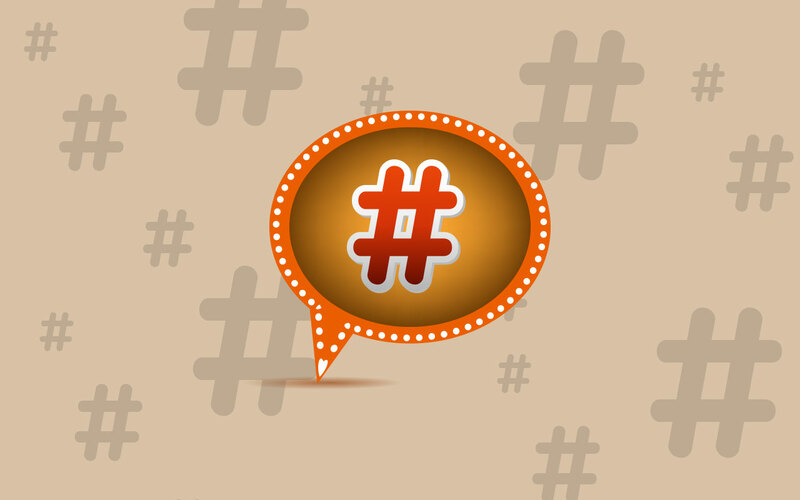 Hashtags create the means for people to find you or your business based on topics interesting and relevant to them. It brings the most likely potential customers to your brand because you’re talking about something they’re actually searching for. The first hashtag as we know it today was born on Twitter on August 23, 2007. Chris Messina is credited with the first ever hashtagged tweet when he suggested using the pound sign (#) for marking groups. It wasn’t long before the term “hashtag” was coined, and in 2009 Twitter began to hyperlink the hashtags for easier searchability. There are still a lot of social posters out there not using [hashtags] and missing out on their audience because of it. In 2010 Twitter brought on the ‘Trending Topics’ and the mode of electronic communication changed forever. As common as it’s become, it’s a practice still foreign to a lot of people. Whether it is a general misunderstanding of its purpose or how to use the hashtag, there are still a lot of social posters out there not using them and missing out on their audience because of it. Only ever hashtag the most important keywords you want your post to be searchable for and avoid making your post illegible with # attached to every word. Research your hashtags. Take a moment and do a search for the hashtags you want to use and see what else comes up. If you don’t see a lot of relevant results, re-think which part of your post you want to hashtag. Create a list of hashtags that relate to your business in a document so you can have an easy reference guide. Try to use trending topics, but only if you can make them relevant to your business. As the birth place of the hashtag, this is obviously the optimal platform for its use. The trick to hashtagging, anywhere across social media, is to keep it simple and not overload your post. Especially here on Twitter with the maximum of 140 characters, you don’t want to visually clutter your tweet. However, while you want to use them sparingly, this is still the best place for using a combination of the keyword hashtag and the emotional hashtag. Hashtags have officially been adopted by Facebook for a while now, but they’re still a little bit like the black sheep. Use them, because it’s still a convenient way to make your post searchable, but use them sparingly. Not every post needs to be hashtagged, and when you do use them keep it simple. Google+ treats hashtags a bit more like keywords – which makes sense as this is the social network put out by the world’s most popular search engine – and will actually suggest them for you. Very little work required on your part, and it is recommended to use the hashtags provided. When users search on Google+ it will generate results with that hashtag and others that are similar. It is said hashtags are used on Pinterest to bring up ‘like’ (similar) pins, but the search feature doesn’t support hashtags. So, for now, use them if you prefer, but make them unique to your brand and stay away from emotional hashtags. If you want your pictures to be found, you need to use hashtags. You have the options of hashtagging in the caption of the photo or in the comments. With Instagram being all about images, your hashtags need to be as specific as possible so that when other Instagrammers are searching they find exactly what they’re looking for and not a slew of irrelevant images. So the bottom line is, use hashtags, but use them wisely. Posted by Christian Knightly on September 26, 2014, updated October 3, 2016.